You’re finally out of the crib stage and ready to transform your child’s nursery into a “big kid” room. After all, your child has mastered walking, talking, and climbing out of the crib – so it’s probably really time to give them a room of their own. While it may be an anxious task to check off your list, it can be a really great opportunity for you to have a fun experience. 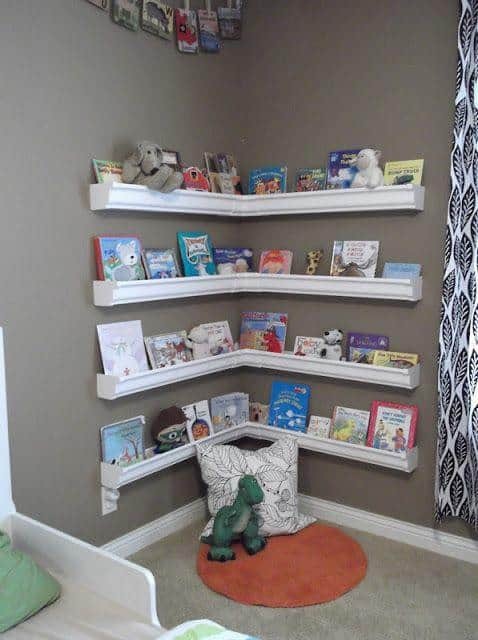 Keep everything at their level: Make sure there is a bookshelf or two that they can actually reach and even a child-size rocking chair for when they want to read a book. If you opt to put a desk in their new room, make sure it’s not a full-size one you’d put in your office. There are also tons of options for kiddie tables that come with child-size chairs – or if you’re feeling really DIY and have the necessary craftsmanship, make the table and chairs yourself! 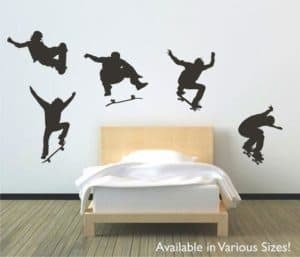 Put up wall decals: Wall decals with movable vinyl are HUGE these days. You can find them just about anywhere so make sure you let your child choose some that he or she really likes and hang ’em up! Giving your child a chance to pick out something on their own will make you feel proud as a parent and give them that feeling of independence that’ll boost their confidence. Create more space: You probably prefer that the toys and books stay in the bedroom but there’s a good chance you probably don’t want them out creating clutter everywhere. 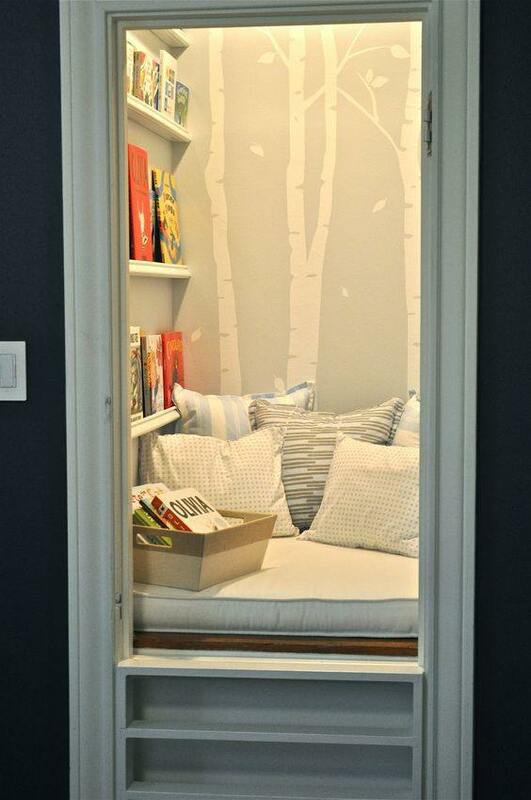 When it comes to creating more space, remove the closet doors, it’ll allow you to multipurpose the space and give them an area for all their toys, games, and books. 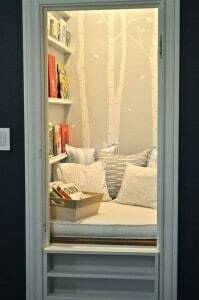 AND, if you’ve got a little book worm on your hands you may even consider transforming it into a little nook that they can hang out in to read. If not, make it a craft station to let their imagination soar!